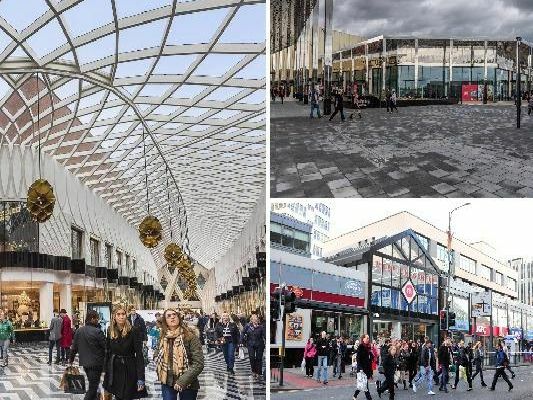 Opening times for shopping centres and retail parks may differ over the Easter bank holiday weekend, with some closing fully for Good Friday, Easter Sunday and Easter Monday. Here are the Easter bank holiday opening times for the White Rose Centre, Trinity Leeds, Crown Point retail park, The Springs and others. Good Friday: 9am - 8pm, Easter Saturday: 9am - 8pm, Easter Sunday: Restaurants open - Retail closed. Trinity Kitchen will be closed, but many restaurants will be open, please check with individual brands. Easter Monday: 9am - 6pm. Good Friday: 10am - 9pm, Easter Saturday: 9am - 8pm, Easter Sunday: Closed - Cinema and selected restaurants open, Easter Monday: 10am - 6pm. Good Friday: 10am - 7pm, Easter Saturday: 9am - 7pm, Easter Sunday: Closed, Easter Monday: 10am - 6pm. Victoria Gate Casino will be open 24 hours throughout the Easter period. Good Friday: 6.30am - 9.30pm, Easter Saturday: 6.30am - 9.30pm, Easter Sunday: Closed, Easter Monday: 6.30am - 9.30pm. Opening times for specific outlets may vary. Check individual stores directly to check when theyre open.